Holiday baking is in full swing. Everything from cookies to candies are getting worked on in my house. That also means it is time to start thinking about what to give teachers, friends, and neighbors for gifts. I love giving something homemade. To me, it says so much more than a gift card to a coffee place. It shows you really care, and took the time out of your day to create something for them. Plus giving something with chocolate and peanut butter, is a sure way to make someones day! 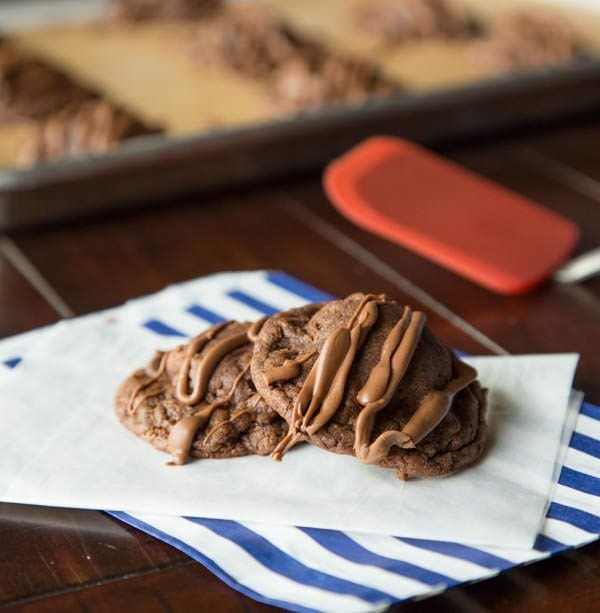 Click HERE to get the full recipe for these cookies. 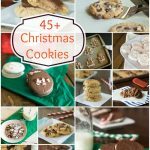 This year I took one of my favorite flavor combinations (chocolate and peanut butter), and put it in a cookie. 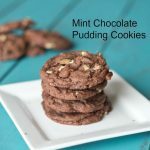 I have done plenty of chocolate and peanut butter cookies in the past, but this one is different. 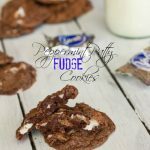 It starts out with a rich, fudgy chocolate cookie. 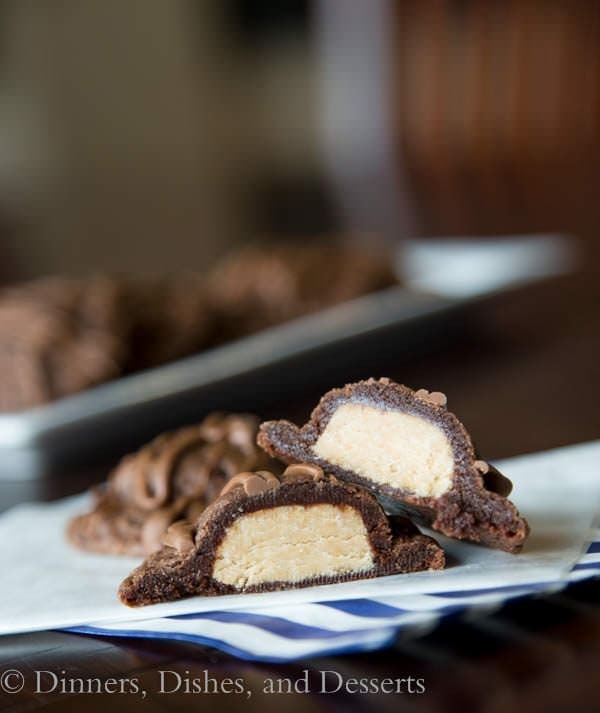 Then it is stuffed with a peanut butter truffle. 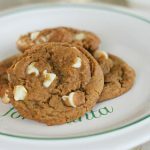 So you bit into the cookie and get an explosion of peanut buttery goodness with your chocolate cookie. 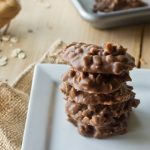 These chocolate cookies are down right addictive on their own, but add the peanut butter, and I could not stay away. 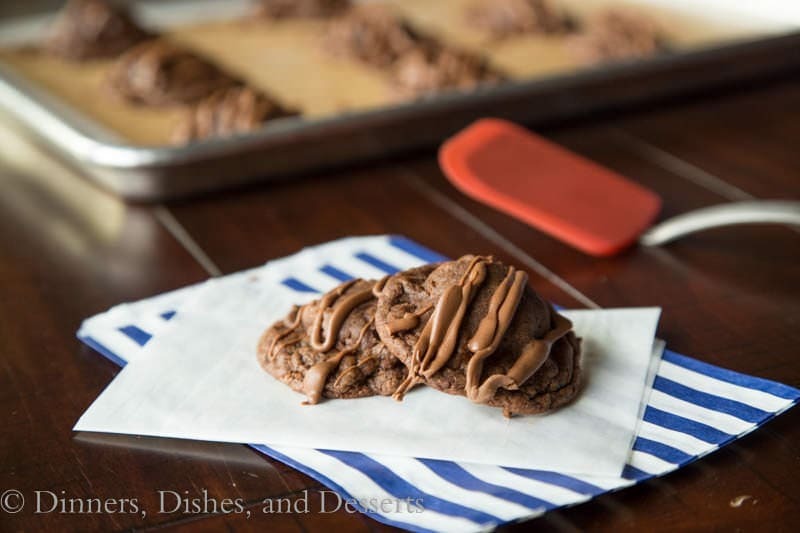 Head on over to Imperial Sugar to get the recipe for Chocolate Peanut Butter Truffle Cookies. Check out lots of other great recipes while you are there too. Disclosure: This recipe was developed for Imperial Sugar. I was compensated for my time. 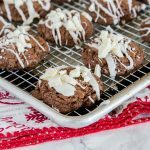 This cookie is loaded with goodness! Thanks for the recipe! Oh sweet glory look at that middle! 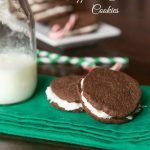 What a great recipe and I love the combination. I love this! 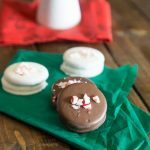 Chocolate and ob are one of my all-time favorite combos, too, so can’t wait to swing over and check out this recipe. I especially love the extra chocolate drizzle on the end. You can never have too much, amiright? 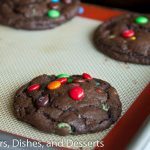 Oh these cookies look incredible! 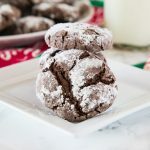 Yes please to truffle filled cookies! 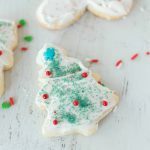 Oh, these cookies look incredible! Can’t go wrong with peanut butter and chocolate! These look so good. I have to make them for our Christmas day company! 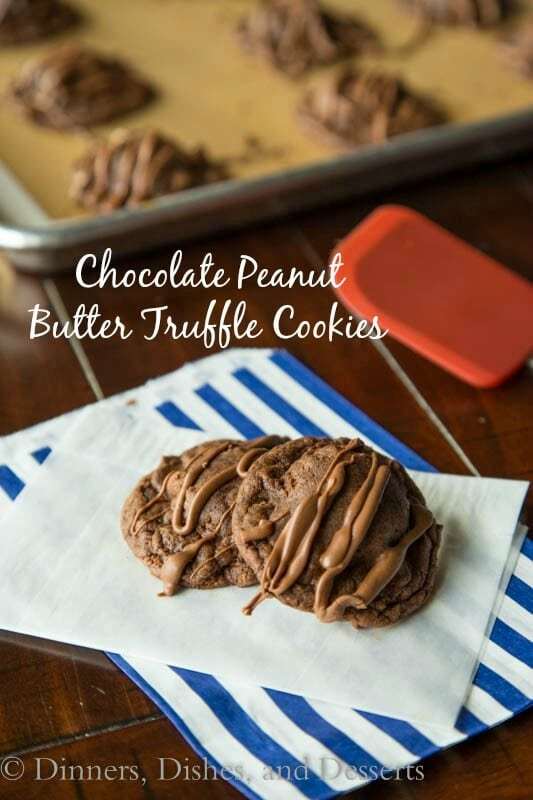 My aunt is always asking for a treat made from peanut butter and these would be perfect. I agree. Who doesn’t love peanut butter and chocolate? Oh man – that drizzle looks phenomenal! 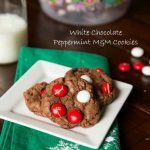 Wonderful cookies to add to my holiday baking list!